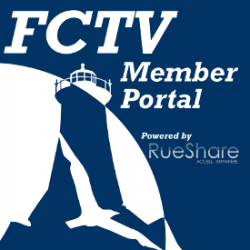 FCTV is self-governed through our active members who each year elect a seven-member Board Of Directors from within the community. If you need to contact our Board of Directors, please mail or drop off a letter in Care of: 'Name of Director' to 301A Dillingham Avenue, Falmouth, MA 02540. Ahmed is a 30-year precinct and town meeting member and recently retired from several terms of service to the Town of Falmouth on their Board of Selectmen. He serves on the Board of Directors of the Otis Civilian Advisory Council, is a member of Disabled American Veterans, Veterans of Foreign Wars, American Veterans (AMVETS), Elks, and Marine Lodge of Masons. Michael has been a senior financial advisor in the Town of Falmouth for more than twenty years and is active in town organizations. He currently serves on Falmouth’s Cable Advisory Committee. An avid skier and traveler, Michael is also active with the Upper Cape Ski and Sports Club as a board member, webmaster and trip organizer. Linda is an ardent community supporter who has worked with numerous organizations in Falmouth including FACES, Davisville Civic Assoc., Falmouth Historical Society, Harbor Farms and currently as a Town Meeting member and Fundraising Chairperson for the Committee to Encourage Public Art. Attorney Jeff Oppenheim, a graduate of Bowdoin College and Suffolk University School of Law has practiced for over thirty-four years in Falmouth. His practice has included real estate, estate planning and administration and business planning. Michael has been a builder in the town of Falmouth for over 30 years. He is active in many aspects of the Falmouth community, as a Town Meeting member, board member of Falmouth Community Television and The 300 Committee. He is also active with organizations such as The Alliance for Community Preservation, the Boy Scouts, and is co-founder of Falmouth Youth Football.